Four Seasons Commodities has two distinct programs the Hawkeye Spread Program traded by Steve DeCook, and the Lone Star Program traded by Malinda Goldsmith. 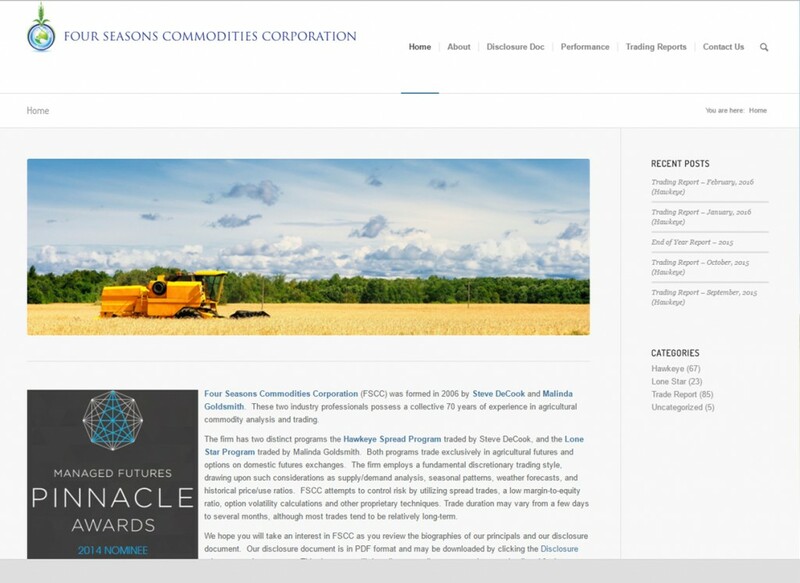 Both programs trade exclusively in agricultural futures and options on domestic futures exchanges. The company needed a clean, no-nonsense website that followed all the compliance rules for trading companies and conveyed the information in a engaging manner.